Nice haul ^_^ I can't wait for Speechless to come out on Tuesday! I LOVED SPEECHLESS. I liked it better than Saving June, in fact. Of Poseidon looks really really great! 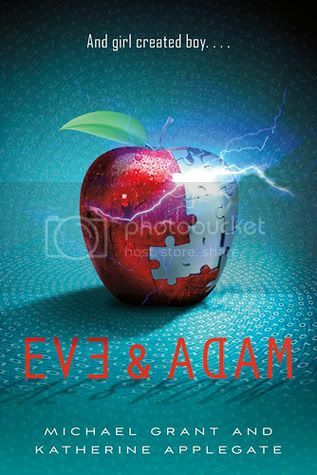 I also got Crewel and Eve & Adam, and I CAN'T WAIT. Great haul this week, happy reading!! Crewel was amazing!!! Totally unique and fascinating and awesome!!!! 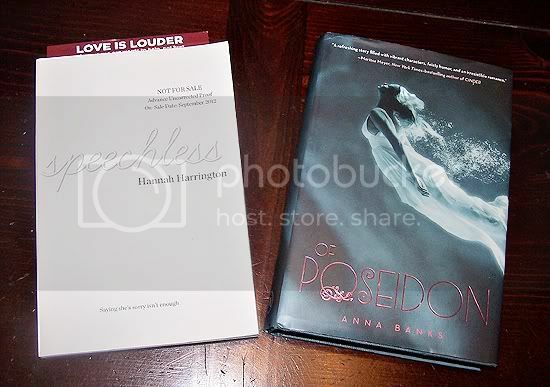 Speechless was great, can't wait tot hear your thoughts on those books!! Lovely haul!! I really enjoyed reading Speechless! i also got Crewel so hope its good! Niiice! I still have to read Of Poseidon myself! Hope you enjoy all your new reads! I really hope I get time to read Speechless soon. I've heard such great about it already. Enjoy all your new books! So excited that we will be able to discuss Crewel once we have both read it. I also have Eve and Adam so we can add that to the ever growing list. Of Poseidon looks so pretty! I really do like the cover. Really enjoyed Of Poseidon. Hope you do too. I have to say the cover looks prettier than the pics have shown!! 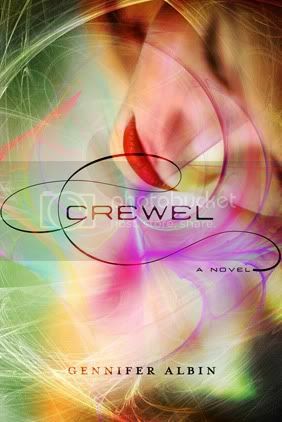 Crewel + Eve & Adam are both really good! I've heard Speechless is amazing too. And I hope we both enjoy Crewel and Eve & Adam! I would love to read of poseidon, this book sounds amazing! Happy reading! I've yet to read Of Poseidon but I REALLY want to. It seems like a book I'll really enjoy. I have an e-ARC of Speechless - I started it the other day and it's good so far! Happy reading, Christie! Eve & Adam looks so great! I got a copy from Crewel :) and Of Poseidon is still high on my list. Great haul and happy reading!